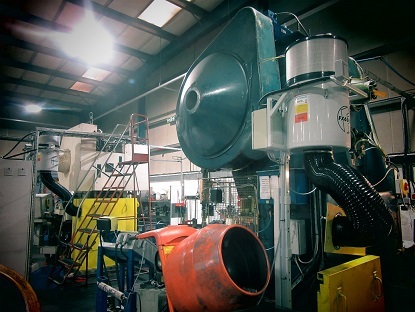 A Gloucestershire company has been able to significantly reduce the amount of oil mist in the air at its production facility with the help of oil mist filters from Filtermist. 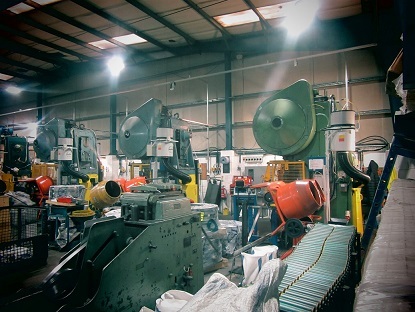 Cinderford-based aerospace approved press and machine shop Quality Engineered Products makes more than 125 million parts per year, with many different materials being processed using various lubricating and cutting oils. Because of this, the company was having issues with lubricating fluid atomising within the press shop and coolant misting within its machine shop. A health and safety visit highlighted how this would be affecting the 27 people employed by the company so it set to work finding the best extraction system supplier to help them overcome the problems. Director Dave Marfell said: “Filtermist was the only company that could offer the complete professional package from investigation and testing, right through to installation and confirmation of the results afterwards. “We would strongly recommend Filtermist as with the aid of their investigation work, we were able to prioritise the installation programme to give the maximum benefit from the outset, while not wasting money on systems not required. Filtermist installed five FX6002 units on machines in the press shop, with four more set to go in next month. And the results have already been fantastic – the amount of oil mist measured in the air in the press shop before any machines were in place was 1.45mg/m3, then following the installation of the first five units this dropped to 0.12mg/m3. Craig Woodward, Filtermist’s UK Sales Manager, added: “Quality Engineered Products are a great example of a company wanting to improve the air quality for their employees, and we are pleased to have been able to help them do so. “By installing the Filtermist units we have already seen a significant improvement and this will only improve further once the next batch of units are in place. Visit http://www.qep.co.uk/ for more information about Quality Engineered Products, or to find out about how Filtermist could help your business, call one of the expert team on 01952 290500 or email sales@filtermist.com.